This sparking award, below can you see it? It was awarded to me by my dearest sis/friend Liza from mlizcochico. Thanks a bunch Liza, i consider you as my greatest inspiration who i've always admired for the way you balance between being a mother and a blogger and the fact that you are also very popular and one of the top blogggers in my eyes.. To add to that you have also been a very loving sister to me and am truly glad to know you in the blogosphere. 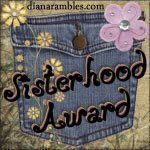 This award comes in three colors, silver, pink and purple. Choose whatever color you think would suit your your blog and click here for the rules. I would to tag these who have either inspired me in many ways, and who are blog friends who have been very supportive and friendly since i knew them. They are.. This is the first given to me by my sweet newest Sister/friend Littlemiss from littlemissfly. Thanks so much dear..
by the way nisha what does monetize your blog means? what is the benefit from it am i going to be charge for it? 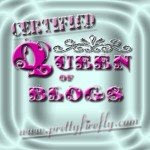 btw i had change my blog url http://rafflesiamom.blogspot.com check it out when you have time cheers! A bunch of awards you have in here nisha, you deserved all this friend. thanks for sharing this award to me, i'll grab it later for sure. have a nice day! Hi Nishas, thanks for the award. I'll grab this Friend Award soon. Take care! hello sis. thank u for these awards. i'll grab the "friends" award since i already got the others, ok? I am happy to know so many blogger love you. 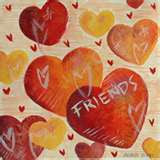 Wish you and all your friends happy everyday.